Clackamas Soil and Water Conservation District officials are getting closer to breaking ground on their new headquarters — a 15-acre farm in Beavercreek. 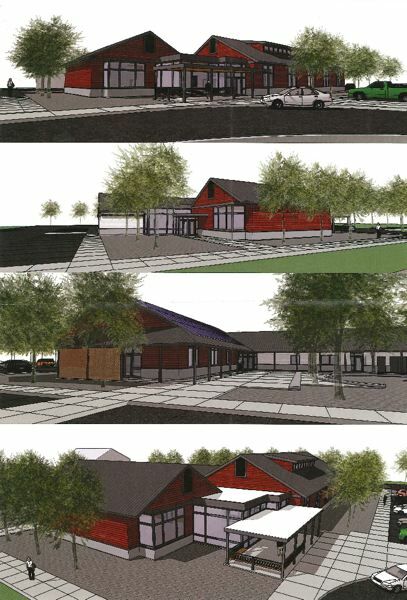 By a 5-2 vote last month, CSWCD board members settled on a 8,542-square-foot Conservation Resource Center office building that will cost $5.23 million, plus room for a 10 percent contingency budget. "I like the new design," said District Board Treasurer Roger Fantz. "I could live with the approximately $5 million figure, because over the course of 30 years, it would pencil out to be a much better deal for the public." District board members Jan Lee and Joan Zuber voted against the wood-frame building because — in order to pay off construction debt over the next 30 years — the project will take funding away from the district's core conservation work. District staff primarily work with willing landowners to reduce invasive species, minimize erosion and encourage healthy habitats. District General Manager Tom Salzer pointed out that paying escalating rental costs will likely be less sustainable over the long term than CSWCD owning its own office space. Leasing its current office space on Molalla Avenue in Oregon City is costing taxpayers nearly $100,000 a year. With groundbreaking tentatively scheduled for February, Salzer says he expects the new offices will be move-in ready by the end of 2019. As previously reported an iconic 100-year-old barn at 22055 S. Beavercreek Road is providing design cues for a new building. Now the new headquarters will only house 20 employees. After efforts by neighbors to save the building, the historic barn would be maintained as a focal point in the courtyard outside a public classroom/meeting area planned for the new barn-red district headquarters. "It's safe to say that every board member was gobsmacked by that number," Salzer said. "The design team called it value engineering, but we preferred to call it hitting the reset button." Now axed from the design plans are a display case, clerestory, fireplace, timber trusses and a metal roof. Officials settled for an asphalt-shingle roof with a 40-year warranty, but less ideal for collecting rainwater. A state law requiring solar panels on any new public facility will bring sustainable benefits, Salzer said, but the district probably is abandoning any thought of official certification for its sustainable building methods. "We can live without the fancy plaque on our wall," Salzer said. "It costs a lot of money to get LEED certified, and we don't see any benefit to us or taxpayers to do that." Board members approved adding an extra $283,000 to the project if a five-year lease can be inked with the district's federal partner, the USDA Natural Resources Conservation Service Field Office currently sharing lease space with CSWCD officials. Salzer said he didn't know what deadline to give the federal agency before it would no longer have the opportunity to share space with CSWCD. A design-build contract is making it possible to give the feds past the February groundbreaking, but Salzer acknowledged that uncertainty on the federal level will make it difficult on CSWCD's engineers doing the structural analysis on a building of uncertain size. "We're going to design a space for our federal partners, and if we get a contract from them to lease it from them, then we'll build it for them," he said. On Tuesday, the board is scheduled to meet again to fine-tune aspects of the floor plan. "We know the footprint, but we're kind of moving around space inside that framework," Salzer said. Outbuildings would house tools and supplies for the staff who often head out in the field for such dirty work as helping restore streambeds or demonstrating best practices for the reuse of manure. Back at the office, there would be a hose and a shower on the outside of the building to clean off the grime on work boots before heading inside to the shower room. The district purchased the farm for $655,000 in July 2013 and has been using it to demonstrate good pasturing practices. Wetland management techniques, a demonstration rain garden, and pollinator patch have been envisioned near the barn and new headquarters to entice and educate visitors. District staff hope to relocate their offices to the site in Beavercreek before February 2020, when their current lease ends at 221 Molalla Ave. Suite 102, Oregon City.